From concept to product launch and beyond, we are scientific consultants with the expertise to put your product safely in the hands of consumers. Focal Point Research is a North American consulting company which has a unique ability to assist in many aspects of launching and improving regulated products. From early concept to regulatory approvals, product and packaging development, manufacturing and quality assurance, we provide comprehensive insight not typically found in a single firm. Our expertise covers cosmetics, drugs, medical devices and natural health products. We work with small, medium and large corporations, as well as with industry associations and governments. Every project and every client is treated uniquely, and we provide the assurance of confidentiality in all of our work. With our scientific, regulatory, and quality expertise, we assist our clients using a holistic approach from new product development right through to market introduction. Looking for a service not on this list? Please call or email us to discuss our full range of services and how we can be of assistance. The Focal Point Research team of consultants is ready to help with your issues and concerns. Our friendly staff include scientists from various disciplines, regulatory and packaging experts and administrative support. We are eager to help you. Founded in 1990 by Janet Ross-Fichtner, Focal Point Research began as a home based business in a small basement office built by her husband. Janet was an expert in food and sensory evaluation, and her consulting practice focused on the Canadian food industry. Janet’s husband Rob Ross-Fichtner joined the business in 1999 and added practice areas in Cosmetics, Drugs and Consumer Products. Focal Point Research has since grown to include a diverse group of scientific and regulatory experts from a variety of backgrounds. Following Janet’s passing in 2011, Focal Point Research continues to honour her values of hard work and commitment; excellence in everything we do; and honesty, integrity and leadership with our clients, colleagues and community. The Janet Ross-Fichtner Scholarship has been created in memory of Janet at the University of Guelph, where she was a proud graduate. I HAVE TRULY ENJOYED WORKING WITH YOU OVER THE LAST 8 YEARS! YOU AND YOUR TEAM HAVE BEEN AN AMAZING RESOURCE FOR ME. I HAVE ALWAYS BEEN IMPRESSED BY THE KNOWLEDGE AND PROFESSIONALISM OF EVERYONE AT FOCAL POINT, WHICH IS A TRUE TESTAMENT TO YOUR LEADERSHIP. Our expertise in the industry spans almost three decades in all aspects of scientific and regulatory affairs, manufacturing, quality and safety. Natural Health Products include a wide variety of healthcare products based on natural ingredients. Drugs range from simple topical creams to complex prescription drugs. FPR provides exceptional professional services that will enable medical device companies from different parts of the world. Packaging plays an important role for products and the interaction between package, product, and process is essential. FPR can help with your consumer complaints, pharmacovigilance and post-market surveillance activities for OTC drugs, NHPs, Medical Devices and Cosmetics. FPR offers assistance formulating cosmetic products, with experience working with natural raw materials, active ingredients, and more. Consumer products include cosmetic accessories, detergents, household cleaners, toys and many other products commonly found in the home. 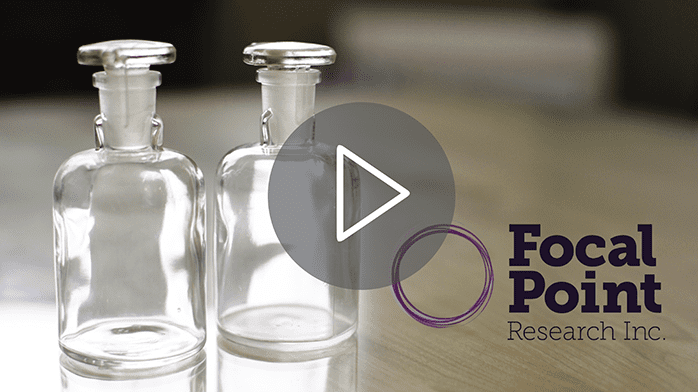 FFPR is a technology based consulting company that has developed proprietary software which can check your cosmetic or monograph drug product’s ingredients against numerous important regulatory ingredient lists in the U.S. and Canada. This gives FPR enormous advantage in speed, accuracy and cost in our review of ingredient lists. Focal Point Research has consistently and professionally looked after regulatory and quality issues of our brand for years. Through a courteous and knowledgeable team, they have managed to navigate us through an ever changing regulatory landscape while maintaining our interests, and allowed us to correctly distribute and sell within Canada. Client Importer of cosmetics, drugs and Natural Health Products.